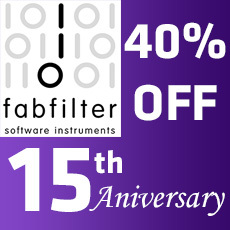 What FabFilter One excels at is the attention to detail and fine-tuning that is visible throughout the plug-in. For example, the portamento feature doesn't just slide from one note to another, but uses a carefully selected algorithm to make your playing more lively and give it just that little extra bit of magic. The reason I or you would get this very cheap simple synth is if you use FL STudio Mobile you own this synth and can get to know presets and use one for VST and the included FL ios version. Not much to it though.